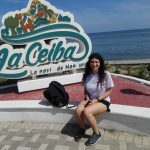 Volunteering Honduras in the hospitals and walking through the neighborhoods vaccinating the community was one of the most unique and life changing experiences I’ve had. 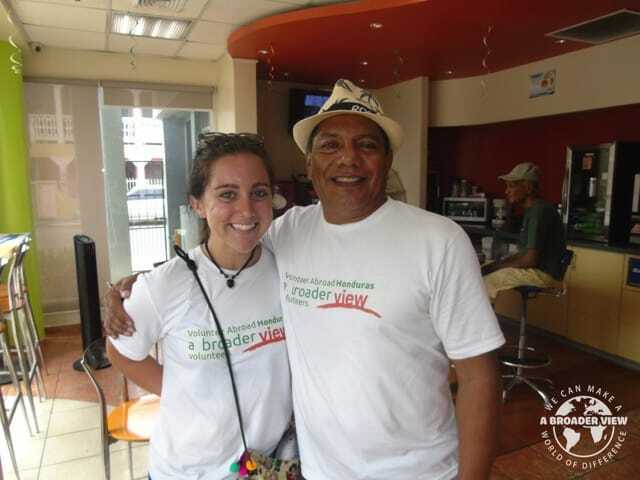 Our ABV Coordinator in Honduras helped us with everything we needed during our trip. We were able to volunteer at multiple hospitals with his help. During the week he always made sure we knew where to go and would check in during the day to make sure everything was okay. 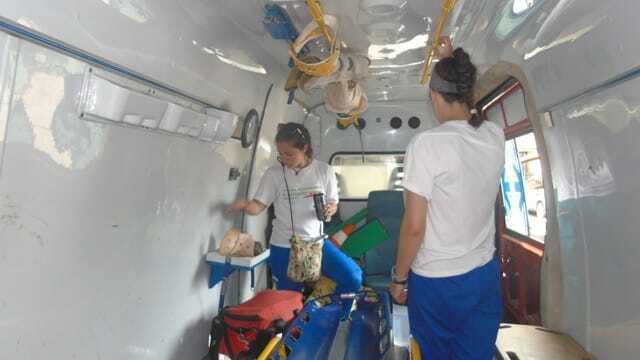 After a few weeks our group felt comfortable finding our way though the hospitals and helping wherever we were needed. At the program: The most surprising thing was how patient and helpful the nurses and doctors were. I would have totally understood if they had been frustrated with my broken spanish and potentially slowing their work down, but in my experience the nurses and doctors were patient and kind and helpful. At the accommodation: the house felt like home almost immediately. I was surprised by how comfortable and modern the house was. I had my own room and bathroom, and had a fan to use at night. There were some small surprises like not being able to flush the toilet paper (many countries in latinamerica do this) and not using the sink water to brush my teeth, but overall I felt totally comfortable and safe at the house. The food was amazing and there are a ton of places for snacks and other food within walking distance. About the country: The most surprising thing about the country was definitely the people. 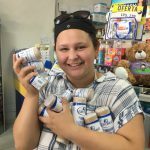 During our first week we helped with the vaccination campaign and were able to walk through different neighborhoods in the city giving vaccinations, vitamins, and parasite medications to the citizens of La Ceiba. It amazed me how amicable and generous the people were. People would frequently welcome us into their homes and offer cold drinks or fresh fruit from trees in their yard. Seeing the different places people lived and interacting with the community outside of the hospital was one of my favorite parts of the trip. At the program: The most difficult experience about the program was probably adjusting to the different working environment. All of us are Advanced EMT’s and work on an ambulance in Vermont so we’ve had training in wound care, IV establishment, CPR, medication administration, etc.. We are all so fortunate to have sterile supplies and all the resources we need to provide care to our patients, so it was difficult to adjust to minimal resources. It not only gave me a new appreciation for my own ambulance service, but also made me realize that there is still so much more our group can do to help here in the future. At the accommodation: I didn’t have any major problems with the accommodation. The only minor setback for me was being sick for a few days after doing a weekend tour, so I would recommend bringing pepto bismol and an antibiotic incase you’re sick for more than a few days. It was definitely hot and sweaty most of the time, but we all acclimated pretty quickly. The country: The most difficult thing about the country was seeing how little some people have. The hospitals have very few supplies, and patients are often responsible for bringing their own gauze or ointment to care for wounds. 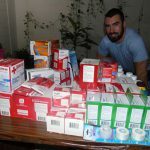 We were able to donate around $8,000 worth of medical supplies, but even still we felt there was so much more we should have brought. For the first time I encountered patients whom I knew how to care for, but didn’t have the means to provide care, and that was really tough for me. Clothing: It’s hot so loose breathable clothing is ideal. Bring lots of scrubs because you need to change into clean scrubs if you want to watch a surgery. 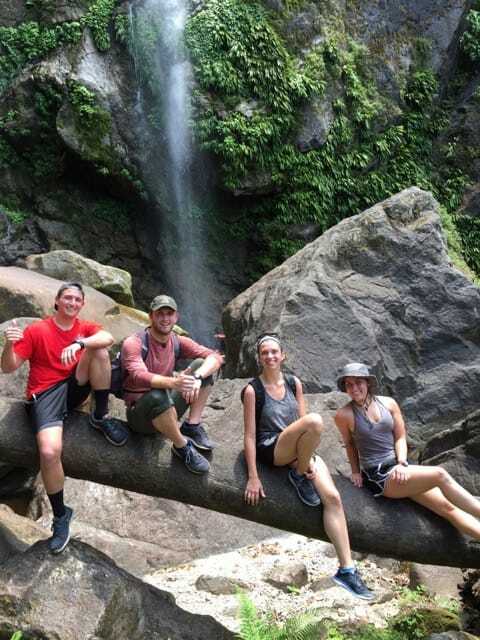 There are also opportunities to go on little trips to hike or swim or go to the islands, so be sure to bring good shoes and swim things too. Donations: Donations are definitely needed here. We were fortunate to find a non-profit organization that gave us medical supplies to donate to the hospitals here, so I would definitely recommend researching and/or fundraising to bring as much as you can. There is a huge need for basic medical supplies like gloves, gowns, facemasks, sterile gauze, antibacterial ointment, tournicates, alcohol pads, etc.. If there was anything I could have done differently it would have been to bring more donations. Even donations aside from medical supplies like clipboards, pens, staplers, whiteout, soap, hand sanitizer are needed. You can also buy locally all these items. Weather: It’s hot and humid every day so be prepared to sweat. There are some areas of some of the hospitals that have air conditioning, and there are some local places with AC as well if you need to chill out for a bit. But overall be ready to sweat a lot, bring cooling towels. a. The doctors and nurses are very helpful and friendly so don’t be shy. Ask to help and don’t be afraid to make mistakes in Spanish as long as you’re trying. But also learn as much Spanish as you can before you come. I would recommend taking a Spanish class (or 3) if you can, and keeping a Spanish/English dictionary or medical dictionary on you. c. The city and country are beautiful and I would definitely recommend making the most of your down time, but still focusing on spending as much time in the hospital as possible. 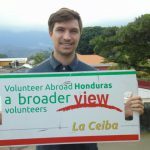 Volunteering Honduras in the hospitals and walking through the neighborhoods vaccinating the community was one of the most unique and life changing experiences I’ve had. 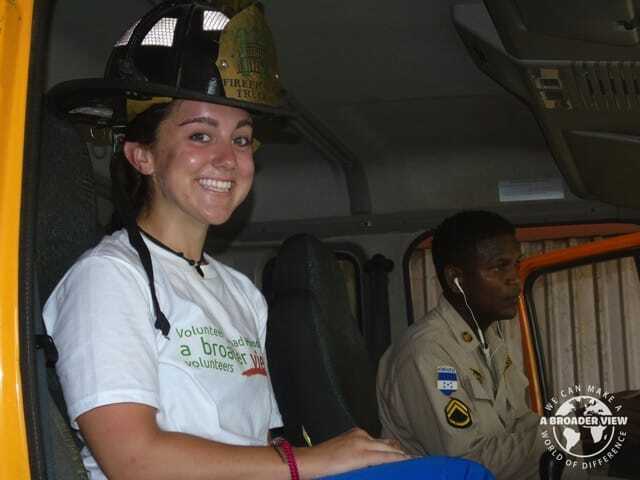 Being in EMS has allowed me to see a decent amount of medical emergencies, but observing the effects of poverty and lack of medical resources first hand truly altered my perception. I always felt comfortable and at home in my host house, and I made so many connections that I hope will last longer than my month here. This trip was everything I’d hoped it would be and so much more, and I can’t wait to return. The house was great, I always felt comfortable and at home. We had our meals cooked for us at the house, but we could always go out to eat if we let the family know beforehand. One night we also cooked for everyone in the house which was super fun. I always felt safe at home, and walking around felt to me like most other big cities in the U.S. We were pretty much always home before dark and stayed together as a group whenever we went anywhere. There are taxis all throughout the city too if we ever wanted to go somewhere we could get one, or the coordinator would call a taxi for us if we wanted to go somewhere together. Program: My favorite program memory was being able to spend time with the new born babies after c-sections. The first c-section I saw I cried when the baby came out strong and healthy, the doctors made fun of me for a little bit after that. But it really is an incredible thing to be one of the first people to hold a new born baby. Country: One afternoon we went to the waterfalls in the mountains and it was the most beautiful place I have ever been in my life. ABV answered all of the questions I had before coming. At one point I had to email them probably 3 times about my fundraising page and they were always very helpful. 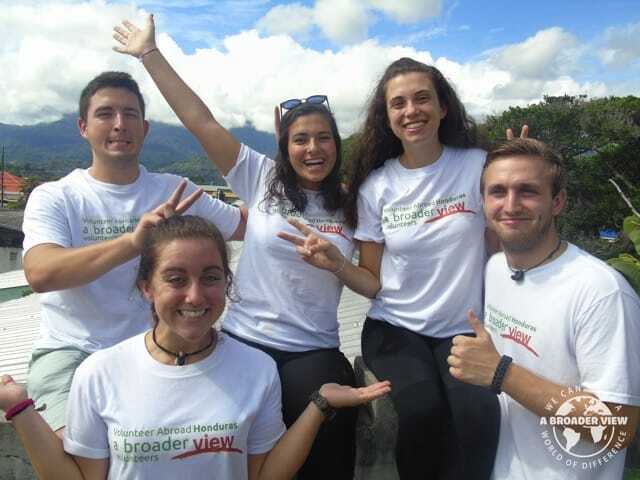 I watched basically all of the videos from people who had done this service trip before and I found them to be so helpful and accurate. Marty, one of the people in our group, found ABV online.